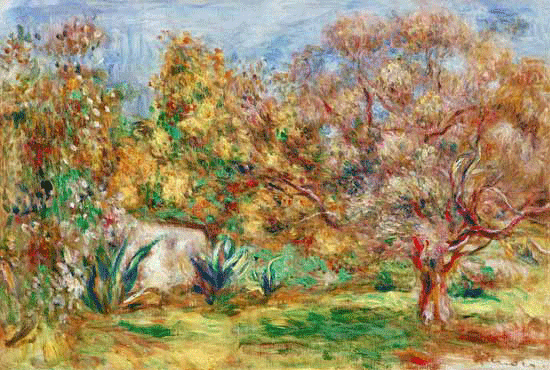 Renoir was instructed by his doctor to spend his winters in the south of France. In 1907 he bought the “Domaine des Collettes” in Cagnes, principally for the olive trees which where doomed to destruction. First he took care of the olive trees then he built a house on the property that was finished in 1908.